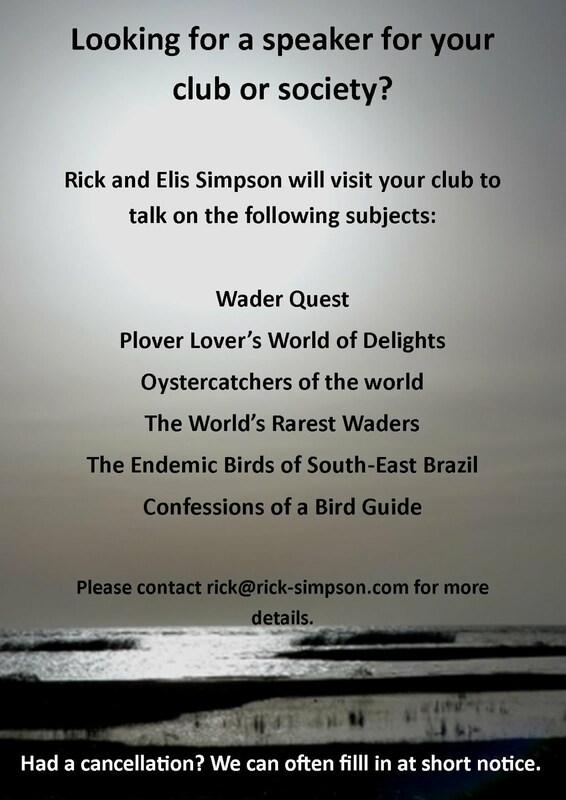 Rick Simpson Birding: Back in Ubatuba, Brazil. Returning to Ubatuba presented us with a mixture of emotions, we really enjoyed seeing the scenery again, but some of the not so nice memories also returned to us, but largely, thanks to old friends, we were able to ignore them. One of the highlights was a visit to Ubatumirim, one of my favourite birding spots in Ubatuba. We went there primarily to look for Collared Plover which we found on the beach as expected. we were stunned to hear the calls of Brown-backed Parrotlets in flight!!! Looking up we saw 11, they flew in a large circle around us allowing us to make a sound recording of their calls and Elis managed, despite their height to get a recognisable record shot of them. Closer view of four of them. A little later we heard and saw them again, this time flying at a greater height. We finished off our visit with some spectacular views of a Lesser Yellow-headed Vulture.